Sacramento County is named for the Sacramento which is named for “Santismo Sacramento” which is the Spanish for “Most Holly Sacrament” referring to the Eucharist. 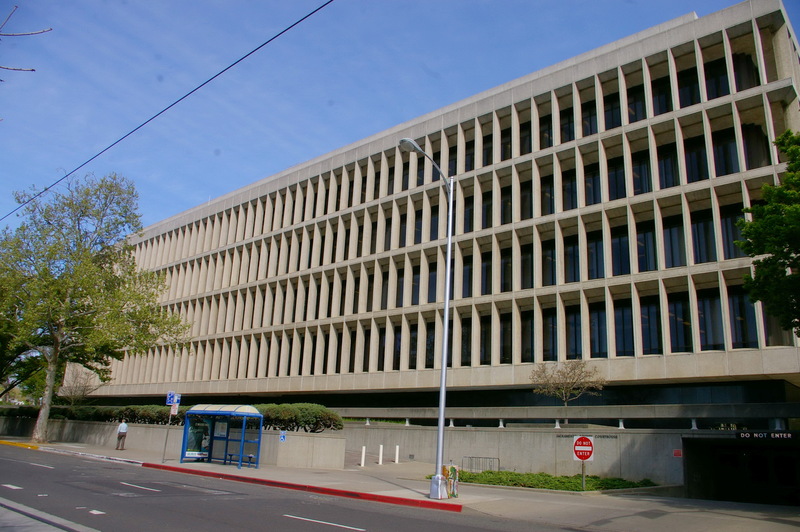 Description: The building faces west and is a five story concrete and glass structure. The building is a rectangular structure and it extends north and south with the second story main entrance on the east side with a large plaza in front. 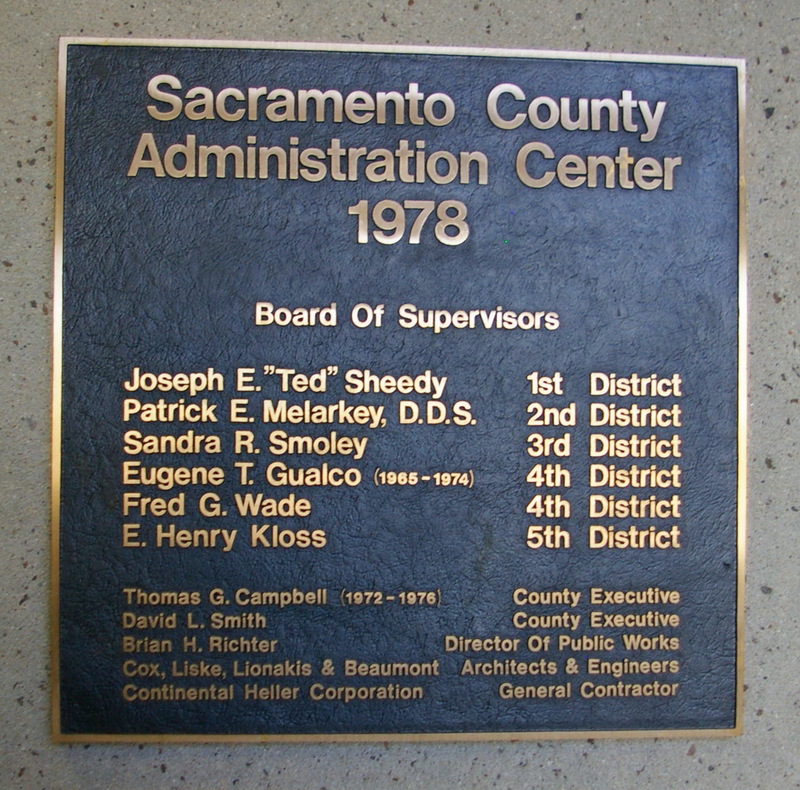 The first story is enclosed and the second to fifth stories have horizontal concrete levels with vertical dividers and recessed windows. The roof line is flat. 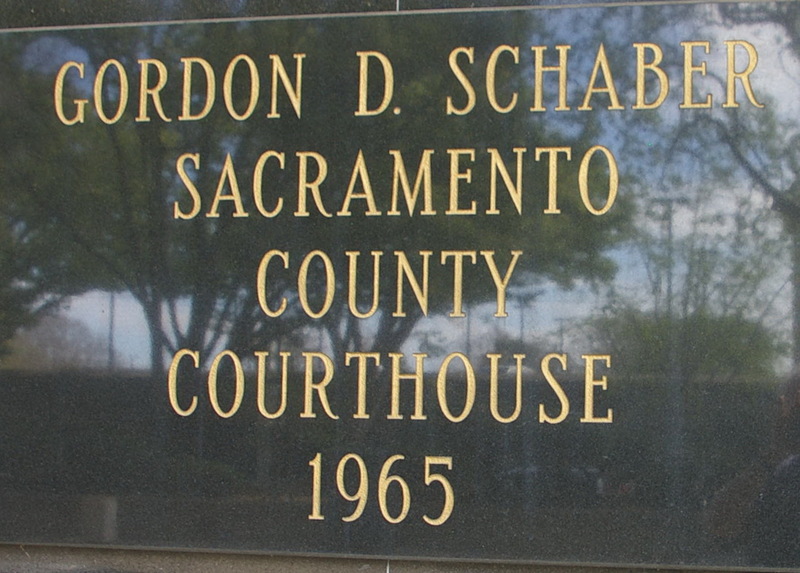 The building is named as the Gordon D Schaber Courthouse.. Description: The building faces south and is a seven story concrete and glass structure. 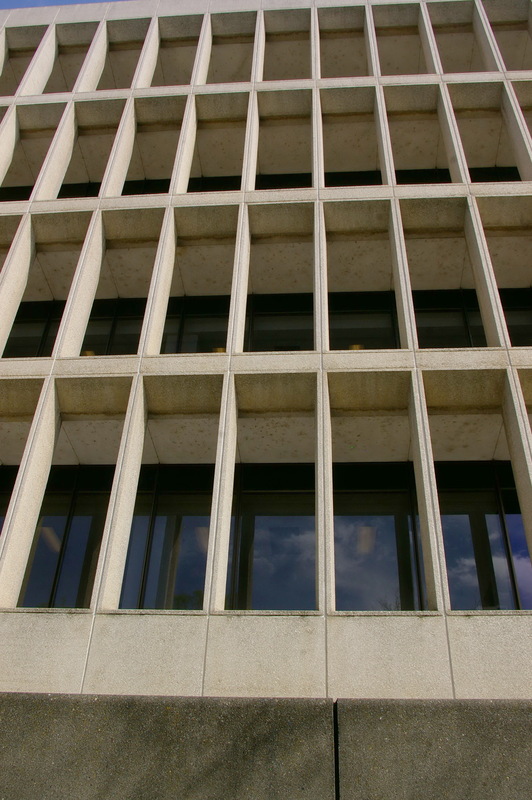 The northeast corner has a large square seven story structure with vertical and horizontal concrete divider and recessed windows. The main entrance is from the second story plaza on the south side. 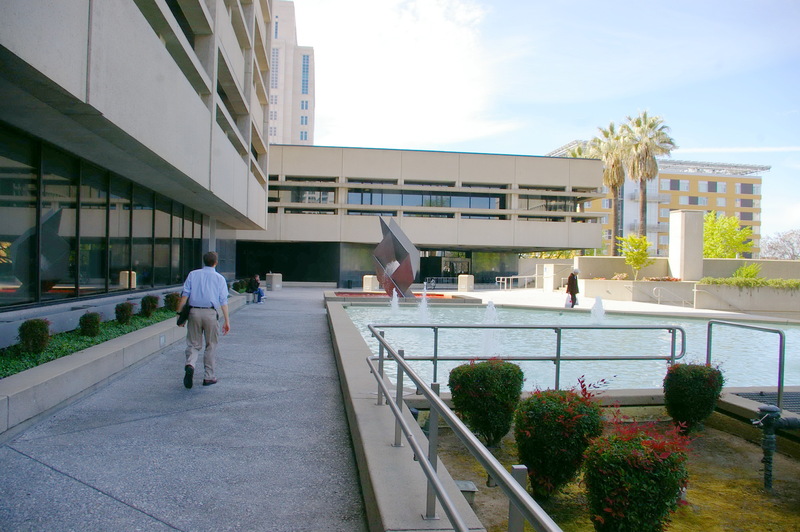 The plaza covers the southeast area. 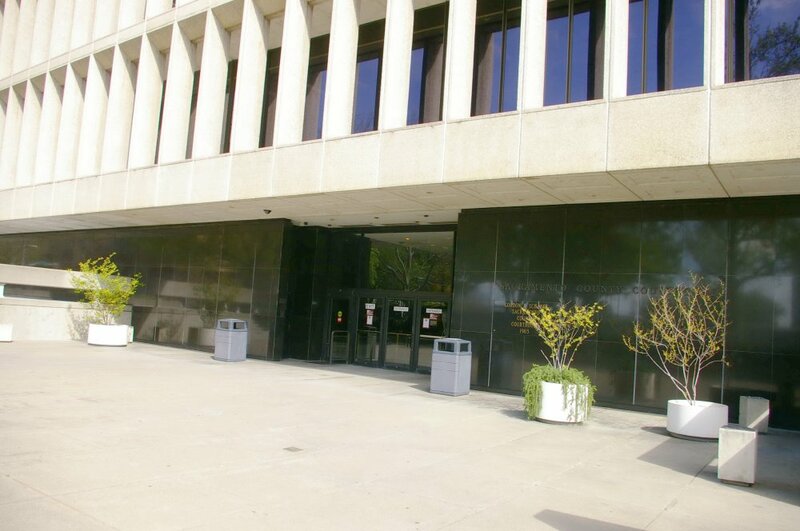 On the west side are two low connected buildings. 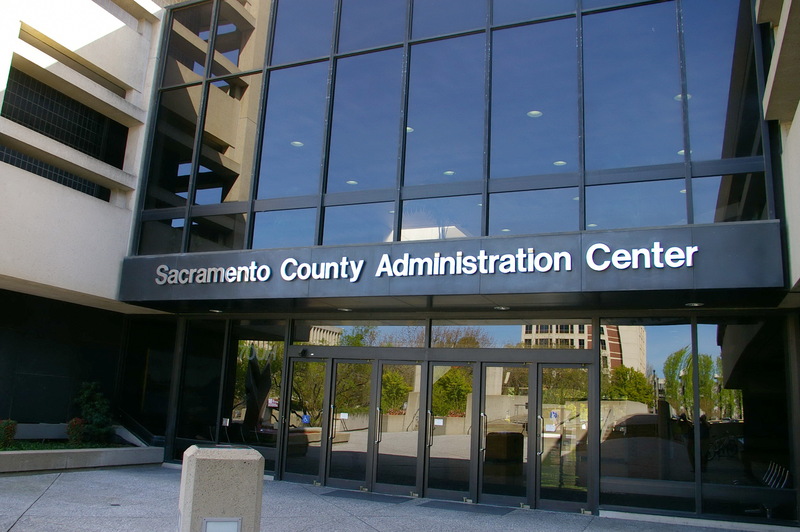 The building is the Sacramento County Administration Center and is located southwest of the courthouse. 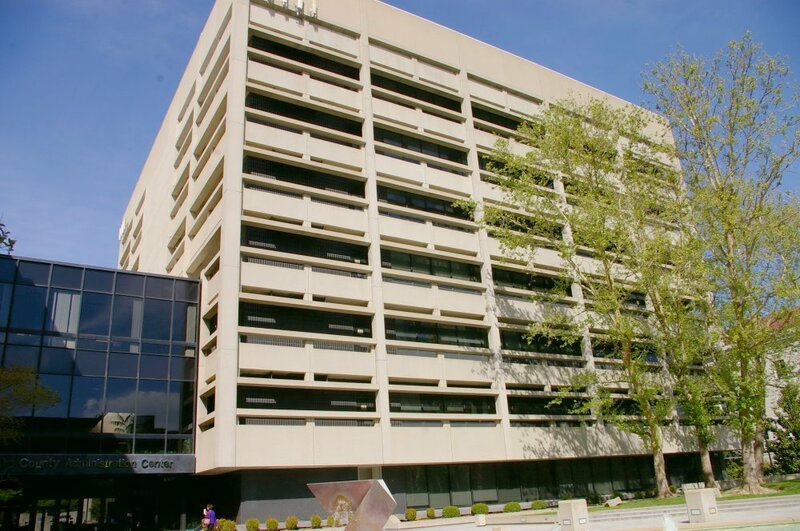 Description: The building faces south and is a 16 story concrete structure. 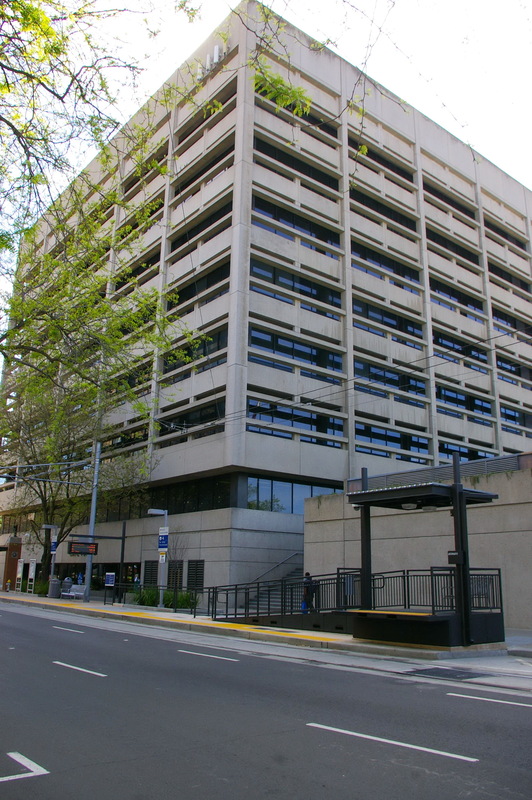 The building is named as the Lorenzo Patino Hall of Justice and the building also houses the jail. 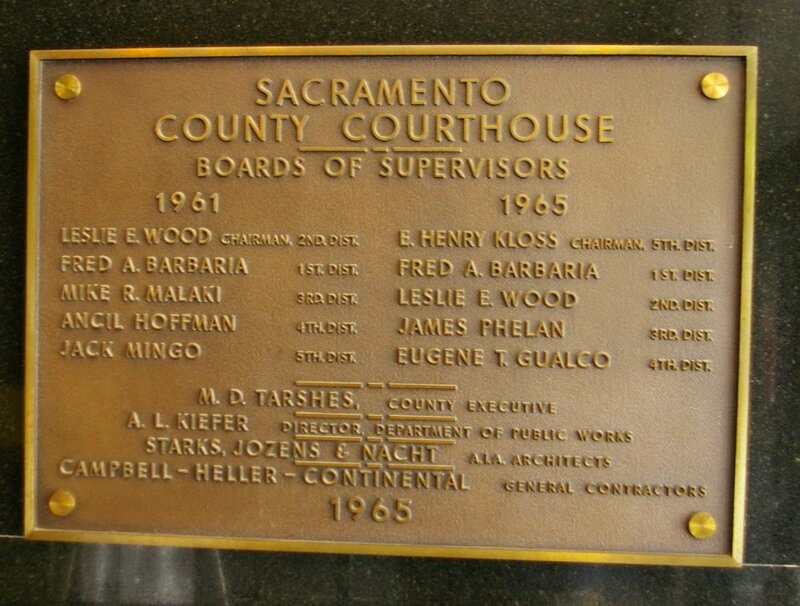 See: California Supreme Court – Sacrament and District Court of Appeal – Sacramento.